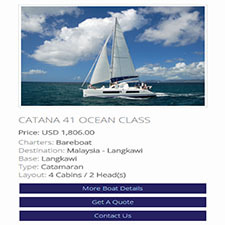 You would like to put a Search Engine on your website for your clients to find the boats they want. 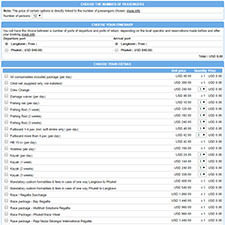 You need boat availabilities in real-time, with the correct price and detailed extras & options. 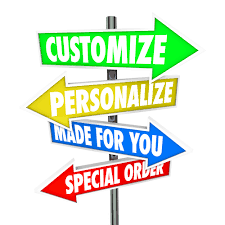 YourSearch is a strong and fully customizable Search Engine to fit with your design. As YourSearch is developed with a Responsive Technology, it maintains a beautiful display on multiple screen sizes. Moreover, YourSearch can be embedded in your Facebook page for you to develop your Leads database. The Boat Details page is available in several languages (clikable flag icons on top) and printable. Your clients can get in real-time a quotation of the charter. 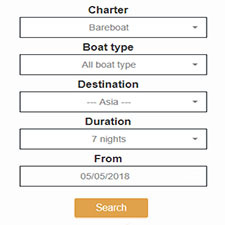 Boat Results can be displayed in Grid or List View. 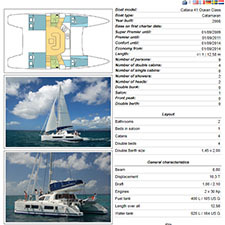 There are 3 documents available per result: Boat Details, Quotation, Contact Form. Each one provides real-time data directly from Sedna. 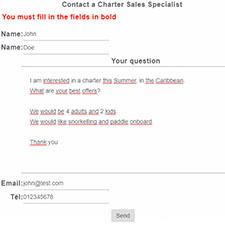 A contact form is available if you need one for your clients to send you a charter inquiry. If you have already one in a contact page, we can link both forms, meaning that we can send data entered by your clients to your contact form. We can also hide this button from the boat result.